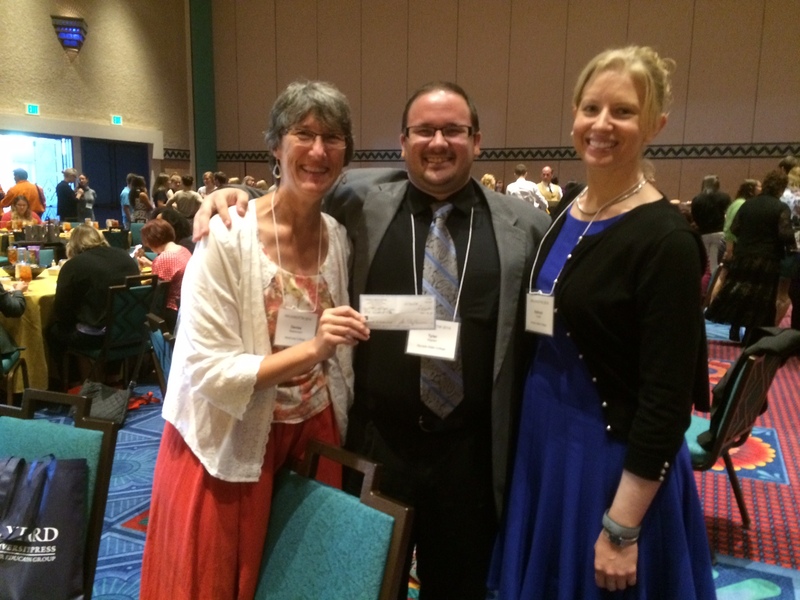 SoCal WCA Treasurer Denise Stephenson presenting the organization’s first scholarship checks to Scott Chiu and Jen Lagedrost (Cal Lutheran) and Tyler McLees (Nevada State College, with Katheryn Tucker) at the 2014 IWCA/NCPTW conference in Orlando. 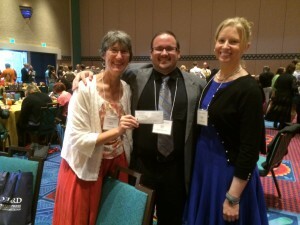 The Southern California Writing Centers Association is pleased to offer two types of grants and scholarships: 1) travel grants to IWCA conference and NCPTW and 2) a scholarship to the IWCA Summer Institute (Nashville, TN, dates TBD). The deadline for applying for these scholarships is February 15, 2019. You will be notified of the Scholarship Committee’s decision on your application by March 1, 2019. For both the professional and the student scholarships, we will favor applications from applicants from traditionally underrepresented groups. For the professional scholarships, preference will also be given to part-time and contingent staff members who are not eligible for institutional funding. Please note as well that the scholarship committee will give preference to applications from institutions that have not previously been awarded a SoCal WCA travel scholarship. Applications were due February 15. 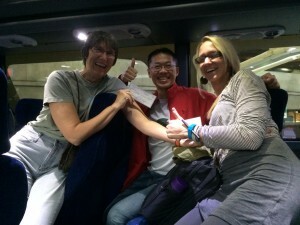 Congratulations to all the previous SoCal WCA Travel Grant and Scholarship winners!